SALT LAKE CITY, Jan. 03, 2019 (GLOBE NEWSWIRE) — SINTX Technologies (NASDAQ: SINT) today reported the independent publication of 30-year clinical outcomes of lumbar fusion surgeries, performed with silicon nitride implants. The paper titled “Anterior Lumbar Interbody Fusion Using Reaction Bonded Silicon Nitride Implants” appeared in the December 2018 edition of the World Neurosurgery journal, and the findings were also featured at the 2018 Annual Scientific Meeting of the Neurosurgical Society of Australasia. Dr. Ralph Mobbs from the University of New South Wales, Sydney, authored the study. Dr. Mobbs stated: “This work is of historical significance, being the first clinical study of silicon nitride as an implant material, the first commercial anterior lumbar interbody fusion with a synthetic material, the first design of a spinal interbody implant with endplate porosity to promote fusion, and the longest clinical follow-up of any implant material in spine surgery. This report clearly establishes the place of silicon nitride in the annals of spine surgery,” said Professor Mobbs. “This paper is a compelling affirmation of our full confidence in silicon nitride as the ideal spine biomaterial platform, whether as an implant, surface coating, or composite formulation with other biomaterials. This report will support our sales objectives, as we prepare an official launch in the coming months in Australia – the first place to use silicon nitride in spinal fusion surgery,” said Daniel Chon, CEO of Dallas-based CTL-Amedica, the exclusive retail channel for silicon nitride spinal implants made by SINTX Technologies. 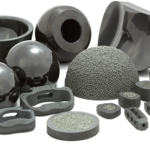 SINTX Technologies is an innovative biomaterials and OEM company that develops and commercializes silicon nitride for various biomedical applications including orthopedic, dental and arthroplasty. This press release contains forward-looking statements within the meaning of the Private Securities Litigation Reform Act of 1995 (“PSLRA”) that are subject to a number of risks and uncertainties. Readers are cautioned not to place undue reliance on the forward-looking statements, which speak only as of the date on which they are made and reflect management’s current estimates, projections, expectations and beliefs. A discussion of those risks and uncertainties can be found in Sintx’s Risk Factors disclosure in its Annual Report on Form 10-K, filed with the Securities and Exchange Commission (SEC) on March 29, 2018, and in Sintx’s other filings with the SEC. SINTX disclaims any obligation to update any forward-looking statements. Sintx undertakes no obligation to publicly revise or update the forward-looking statements to reflect events or circumstances that arise after the date of this report. Phoebe Putney Health System doesn’t want its doctors to send business to competitors. If they do, Phoebe makes sure their bosses know about it. Doctors working for the Albany, Ga.-based hospital system’s affiliated physician group get regular reports breaking down their referrals to specialists or services. One viewed by The Wall Street Journal included cardiology, colonoscopies and speech therapy, along with the share of each referred to Phoebe health-care providers. If the share of in-house business wasn’t viewed as adequate, administrators would press them to improve, doctors said. Phoebe officials said they use referral policies to improve quality and reduce costs, and physicians weren’t punished for their decisions. Patients are often in the dark about why their doctors referred them to a particular physician or facility. Increasingly, those calls are being driven by pressure to keep business within a hospital system, even if an outside referral might benefit the patient, according to documents and interviews with doctors, current and former hospital executives and lawyers. Losing patients to competitors is known as “leakage.” Hospitals, in response, use an array of strategies to encourage “keepage” within their systems, which in recent years have expanded their array of services. The efforts at “keepage” can mean higher costs for patients and the employers that insure them—health-care services are often more expensive when provided by a hospital. Such price pressure and lack of transparency are helping drive rising costs in the $3.5 trillion U.S. health-care industry, where per capita spending is higher than any other developed nation. For hospital systems, doctors’ referrals are a vital source of revenue. 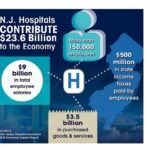 A hospital earns an average of $1.8 million annually in revenue from an internal-medicine physician’s admissions, referrals for tests and other services, plus practice revenue for employed doctors, a 2016 survey by recruiter Merritt Hawkins, a unit of AMN Healthcare Services Inc., found. The survey didn’t include hospital revenue from referrals by internal-medicine doctors to specialists, such as orthopedic surgeons or cardiologists. Hospitals have gained more power over doctors with a wave of acquisitions of practices and hirings in recent years, and hospitals are getting more aggressive in directing how physicians refer for things such as surgeries, specialty care and magnetic resonance imaging scans, or MRIs. The U.S. Food and Drug Administration has warned Genetech, Inc. of San Diego, California and its president, Edwin N. Pinos for marketing stem cell products without FDA approval and for significant deviations from current good tissue practice (CGTP) and current good manufacturing practice (CGMP) requirements, including some violations that may have led to microbial contamination, potentially causing serious blood infections in patients. Genetech processed umbilical cord blood into unapproved human cellular products, which was distributed by Liveyon, LLC. 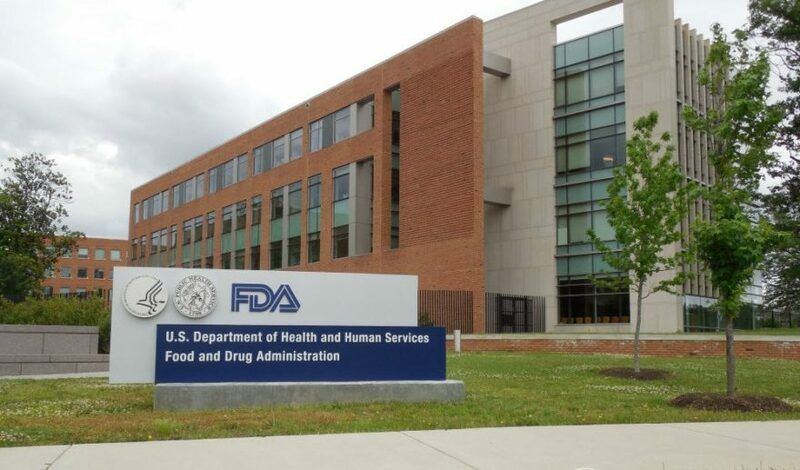 Additionally, as part of the FDA’s overall goal to support the responsible development of safe and effective products for patients, the agency is sending letters to reiterate the FDA’s compliance and enforcement policy to other manufacturers and health care providers who may be offering stem cell treatments. As highlighted last year with the release of the FDA’s comprehensive regenerative medicine policy framework, including the FDA’s final guidance (Regulatory Considerations for Human Cell, Tissues, and Cellular and Tissue-Based Products: Minimal Manipulation and Homologous Use), the FDA intends to apply a risk-based approach to enforcement of cell-based regenerative medicine products, taking into account how products are being administered as well as the diseases and conditions for which they are intended to be used. However, the FDA does not intend to exercise such enforcement discretion for those products that pose a potential significant safety concern to patients. Under this policy, the agency noted that it intends to exercise enforcement discretion for certain products until November 2020 with respect to the FDA’s investigational new drug application and premarket approval requirements when the use of the product does not raise reported safety concerns or potential significant safety concerns. Although the FDA has not evaluated the application of the compliance and enforcement policy to the specific manufacturers and health care providers who received the letters, or evaluated their products, the letters are intended to serve as a reminder of the enforcement discretion period and to encourage all affected manufacturers and health care providers to engage with the agency in advance of that date to determine if their products are subject to the agency’s premarket approval requirements. The FDA offers opportunities for this type of engagement between potential manufacturers and the agency, such as through the INTERACT program, to facilitate product development. It also encourages the use of its expedited programs whenever applicable, in addition to the collaborative development of products as the FDA Commissioner and Center for Biologics Evaluation and Research director discussed in a New England Journal of Medicine perspective. In the case of Genetech, the FDA inspected the company’s facility this past June and found the company was processing cellular products from human umbilical cord blood for administration by intra-articular (joint) injection, intravenous injection or application directly to the affected tissue to treat a variety of orthopedic conditions. These products were distributed by Liveyon in Yorba Linda, California as ReGen5, ReGen10 and ReGen30. The Genetech products are not intended for homologous use (products that are intended for the same function in the recipient as the donor), and while the products have a systemic effect, they are not intended for allogeneic (genetically similar) use in a first or second-degree blood relative. As such, the products are regulated as both drug and biological products. To lawfully market these products, an approved biologics license application is needed. While in the development stage, the products may be used in humans only if an investigational new drug application (IND) is in effect. However, no such licenses or INDs exist for the Genetech-processed, Liveyon-distributed products. During the inspection, the FDA documented evidence of significant deviations from CGTP and CGMP requirements in the manufacture of the umbilical cord blood-derived products, including: deficient donor eligibility practices; unvalidated manufacturing processes; uncontrolled environment; lack of control over the components used in production and a lack of defined areas or a control system to prevent contamination and mix-ups. These deviations pose a significant risk that the products may be contaminated with microorganisms or have other serious product quality defects. In September, Liveyon suspended shipment of all product pending an inquiry by the FDA into the source of the adverse reactions. Liveyon also voluntarily recalled all Genetech products it may have distributed. “The FDA remains committed to taking action against products being unlawfully marketed and which pose a potential significant risk to patient safety at this time. 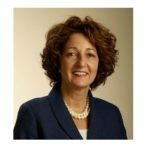 However, the agency is also committed to ensuring that patients have access to safe and effective regenerative medicine products as efficiently as possible,” said Peter Marks, M.D., Ph.D., director of the FDA’s Center for Biologics Evaluation and Research. The FDA requested a response from Genetech, within 15 working days of the letter’s issuance, that details how the deviations noted in the warning letter will be corrected. Deviations not corrected by companies and owners could lead to enforcement action such as seizure, injunction or prosecution. Health care professionals and consumers should report any adverse events related to treatments with the Liveyon products, Genetech products or other stem cell treatments to the FDA’s MedWatch Adverse Event Reporting program. To file a report, use the MedWatch Online Voluntary Reporting Form. The completed formcan be submitted online or via fax to 1-800-FDA-0178. The FDA monitors these reports and takes appropriate action necessary to ensure the safety of medical products in the marketplace. PITTSBURGH, PA, December 5, 2018 // — Dr. Jocelyn Idema, Orthopaedic Spine Surgeon at The Center for Disc Replacement Surgery at Advanced Orthopaedics and Rehabilitation (AOR), recently implanted Centinel Spine’s newest generation of the prodisc L lumbar artificial disc replacement. The prodisc L® is a Total Disc Replacement (TDR) technology platform that offers a surgical alternative to spinal fusions. Patients usually suffer from a single level degenerated disc in the lower (lumbar) spine and this technology works to relieve pain while allowing the potential for motion at the diseased spinal segment. Centinel Spine is currently the only company in the United States to offer both upper and lower spine Total Disc Replacement devices. 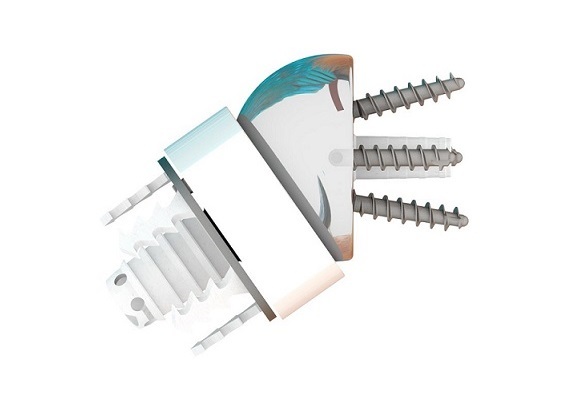 The prodisc I implant, the predecessor of the prodisc L implant, was first implanted in 1990. The prodisc L implant that is used today was introduced outside the United States in 1999. It was approved by the Food and Drug Administration (FDA) for use in the United States in August 2006. A prodisc L IDE clinical study evaluated the prodisc L Total Disc Replacement surgery compared to spinal fusion surgery*. The study demonstrated that prodisc L surgery is a safe and effective alternative to fusion surgery* for qualified patients. From the foundation of knowledge gained from the long-term clinical success of its lumbar products, Centinel launched its cervical product in 2008. Today, Centinel Spine still embraces the pioneering culture from 1924. 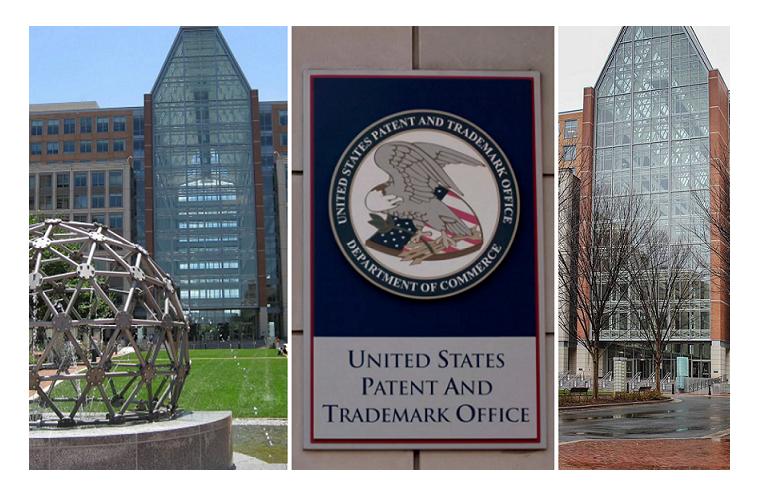 In 2006, the FDA Approved the prodisc L—the 2nd U.S. Lumbar Total Disc Replacement device and in 2007, the FDA approved the prodisc C—the 1st Complete U.S. Cervical and Lumbar offering. For more information, please visit www.centinelspine.com and connect on Twitter and Facebook. OVERLAND PARK, Kan., Dec 13, 2018 /PRNewswire/ — Overland Park Surgical Suites is a state of the art outpatient surgical center and is the first outpatient surgery center in the Midwest to offer patients a robotics-assisted alternative to traditional knee replacement surgery. The NAVIO Surgical System starts with an advanced computer system that gathers precise anatomic and alignment information about a damaged knee that a surgeon uses to create a specific surgical plan, according to Dr. Abraham. “This extra layer of data collection is designed to ensure the knee procedure is performed as accurately as possible for the best long-term outcome,” he said. Abraham has already performed more than 100 robotic-assisted partial and total knee replacements at Overland Park Surgical Suites and St. Joseph Medical Center, and draws patients to his practice from throughout Kansas, Missouri and Iowa. He said the NAVIO System is particularly well suited for active adults in their 40s and 50s who have developed knee problems, but have opted to put off surgery as a remedy. “Knee replacement surgery has a controversial reputation,” Abraham added. Unfortunately, this leads many patients to delay medical intervention because of concerns about invasive surgery, painful rehab and significant downtime. The NAVIO System helps offset these concerns with the improved accuracy and the potential for faster recovery, leading to the goal of improved surgical outcomes and increased patient satisfaction. The first knee implant procedure was performed 50 years ago in 1968, according to the American Academy of Orthopaedic Surgeons. Now, more than 600,000 knee replacement surgeries are performed each year, making it one of the most in-demand surgical specialties in the country. Yet often, patients are dissatisfied with the outcome. Not so for Beth Archer of Leawood, who in October was the first person in the state of Kansas to undergo a partial knee replacement using robotic surgical assistance at Overland Park Surgical Suites. Abraham added that the NAVIO benefits are many, yet robotic surgical-assist is still in its infancy. For more information or to schedule a NAVIO consultation with Dr. Abraham, call APEX ORTHOPEDICS and Sports Medicine at 913-642-0200. 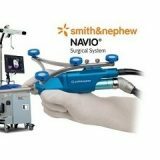 NOTE: Not all patients are candidates for surgery using the NAVIO Surgical System. Discuss your condition and implant options with your surgeon. Individual results of joint replacement vary. Implants may not produce the same feel or function as your original knee. There are potential risks with knee replacement surgery such as loosening, fracture, dislocation, wear and infection that may result in the need for additional surgery. NAVIO is not for everyone. Children, pregnant women, patients who have mental or neuromuscular disorders that do not allow control of the knee joint, and morbidly obese patients should not undergo a NAVIO procedure. Overland Park Surgical Suites is a state-of-the-art, orthopedic outpatient surgical center in Overland Park, KS. 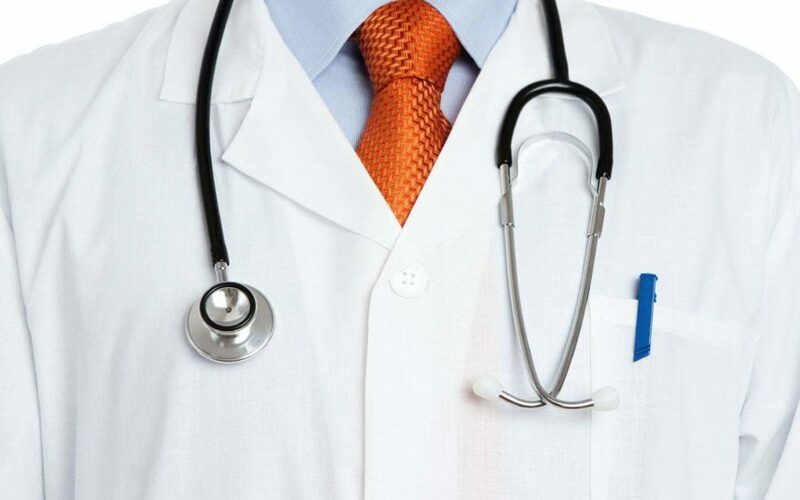 It was established by clinical personnel to offer safe, high quality surgical care. It is one of the first surgery centers in the Kansas City area to perform outpatient total joint replacements and is licensed by the State of Kansas and accredited by The Joint Commission. Smith & Nephew is a global medical technology business dedicated to helping healthcare professionals improve people’s lives. With leadership positions in Orthopaedic Reconstruction, Advanced Wound Management, Sports Medicine and Trauma & Extremities, Smith & Nephew has around 15,000 employees and a presence in more than 100 countries. Annual sales in 2017 were more than $4.8 billion. Smith & Nephew is a member of the FTSE100. MEMPHIS, Tenn.–(BUSINESS WIRE)–In2Bones Global, Inc. today announced the global launch of the unique, “see-through” PitStop®implant. Manufactured from a high-performance polymer called polyether ether ketone (PEEK), the PitStop® Implant is used to help facilitate the surgical correction of progressive flat foot deformity in both pediatric and adult populations. Flexible flatfoot is one of the most common deformities of the foot, often starting during adolescence and continuing into adulthood. The PitStop® Implant helps to restore the stability of a patient’s arch during the gait or walking process. Several traditional metallic brands of subtalar implants are currently available today which can be limiting because of the excessive stiffness of the material compared to the adjacent bones, causing pain and biomechanical adaptation in some cases. PEEK has the benefit of being less stiff (softer) than metal and more similar to the elasticity of bone. The PEEK material in the PitStop® Implant may lead to increased and long-term patient tolerance. Additionally, PEEK is radiolucent, meaning that it won’t show up on X-ray, something that traditional metal implants cannot do because metal absorbs X-rays and blocks the image underneath. The Unique “see-through” PitStop® Implant demonstrates In2Bones’ commitment to expanding the extremities market by launching innovative technological advancements that improve surgical outcomes and patient care. To support the commercial launch of the PitStop® Implant, In2Bones recently published the micro website, http://www.PitStop-Implant.com providing physicians and healthcare professionals with easy to access educational content. The materials on the site will include surgical animations and videos, surgical technique guides, case studies, patient support materials, and more. For more information about In2Bones Global, Inc. extremity products, please visit www.In2Bones.com. Headquartered in Memphis, Tennessee, In2Bones is a global designer, manufacturer and distributor of medical devices for the treatment of disorders and injuries of the upper (hand, wrist, elbow) and lower (foot and ankle) extremities. For more information, visit www.in2bones.com. 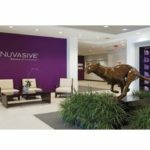 SAN DIEGO, Dec. 10, 2018 /PRNewswire/ — NuVasive, Inc. (NASDAQ: NUVA), the leader in spine technology innovation, focused on transforming spine surgery with minimally disruptive, procedurally integrated solutions, today announced it has received 510(k) clearance from the U.S. Food and Drug Administration (FDA) for expanded use of its Monolith®Corpectomy System, providing surgeons with a modular PEEK interbody solution for cervical corpectomy procedures. The FDA 510(k) indications for expanded use of the Company’s Monolith Corpectomy System include procedures in the cervical spine (C3-C7 vertebral bodies) to treat a diseased or damaged vertebral body caused by fracture, tumors, osteomyelitis or to support reconstruction following corpectomy performed to achieve decompression of the spinal cord and neural tissue in cervical degenerative disorders. NuVasive’s Monolith Corpectomy System was initially cleared by the FDA for indicated use in thoracolumbar corpectomy procedures in 2015, offering a fully modular, imaging-friendly PEEK implant solution. The system is comprised of a monolithic core with modular endcaps that allow surgeons to customize the device to meet the patient’s specific anatomical requirements. The endcaps are available in multiple footprint and lordosis options intended to help maximize endplate coverage while addressing the surgeon’s alignment goals. The Monolith cage is constructed entirely from PEEK and includes radiographic markers, which provides increased clarity in postoperative x-rays and imaging, allowing surgeons to more easily assess fusion following procedures. The cage also includes large central graft apertures designed to help facilitate bony through-growth and fusion. LOGAN, Utah, Dec. 6, 2018 /PRNewswire/ — IntraFuse, a start-up medical device company operated by Surgical Frontiers, is focused on advanced surgical devices for improving outcomes for orthopedic extremity procedures, announced today that the United States Patent and Trademark Office has recently granted the company a key patent related to its FlexThread™ Intramedullary Fracture Fixation system. US Patent 10,136,929 entitled “Flexible Bone Implant” is the first patent to issue from the intellectual property portfolio held by the company that includes additional pending US and international patent applications. The patent covers the novel combination of an intramedullary rod with cross fixation on end and a flexible bone screw on the other end. This platform technology enables percutaneous, secure fracture fixation of long bones of the extremities, especially for curved bones or where the surgical technique requires an off-axis approach to the intramedullary canal. The simple and elegant design is easier to implant and lower cost than today’s standard-of-care fracture fixation hardware. 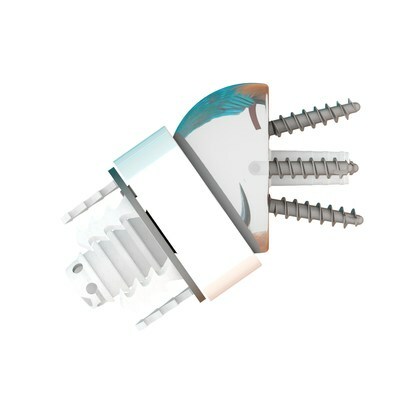 Incorporating IntraFuse’s proprietary FlexThread™ technology, the distal end of the implant is a flexible, intramedullary screw and the proximal end is a rigid, high-strength intramedullary rod. Upon insertion of the implant into the bone, the rigid rod portion of the implant spans and supports the fracture and the flexible screw portion bends as needed to thread into the intramedullary canal. With internal screw fixation on one side of the fracture and cross screw fixation through the rod on the other side of the fracture, proper bone alignment and length can be maintained during the healing period. The FlexThread™ System is currently FDA 510(k) cleared for fibula and clavicle indications, and the FlexThread™ technology is in further development for additional indications, include fractures of the fifth metatarsal bone, also known as a Jones fracture. IntraFuse is a development stage medical device company incubated and operated by Surgical Frontiers. Jupiter, Florida, Dec. 05, 2018 (GLOBE NEWSWIRE) — JUPITER, FLORIDA (December 5, 2018) — Jupiter Medical Center is the first hospital in the southeastern United States to use SpineJack®, an implantable system that relieves the pain of acute vertebral compression fractures (VCFs), the most common fracture in patients with osteoporosis. The innovative device stabilizes and restores damaged vertebra to their original shape and height in a minimally invasive procedure that takes about 30 minutes. Approved by the U.S. Food and Drug Administration in September, SpineJack® has been commercially available in Europe since 2008, with more than 70,000 units implanted worldwide. 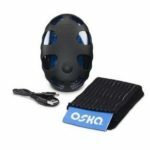 It is produced domestically by the Stryker medical technology company. Dr. Miller performed Jupiter Medical Center’s first SpineJack® on Nov. 6. His patient, 75-year-old Robert Fischer of North Palm Beach, is pleased with the outcome. “It’s only been three weeks and I feel close to perfect – I’d say 95 percent,” said Fischer, who was diagnosed with osteoporosis earlier this year after he began suffering debilitating back pain. VCFs are the most common medical condition experienced by those with osteoporosis or low bone mass. VCFs occur when the vertebral body in the spine collapses, which can lead to severe pain, spinal deformity and loss of height. The fractures more commonly occur in the middle (thoracic) and lower (lumbar) portions of the spine. While osteoporosis is the most common cause, these fractures may also be caused by trauma or metastatic tumors. The lifetime risk of osteoporotic fracture for those older than 50 years of age is one in two for women and one in four for men. For decades the only nonsurgical treatments for VCFs were bed rest, bracing (which limits mobility) and pain medication. Vertebroplasty has been used since the early 1990s and more recently kyphoplasty, which has become a mainstay in the treatment of VCFs. In vertebroplasty, bone cement is injected directly into the fractured vertebra, where it quickly hardens and acts like an internal cast. In kyphoplasty, a balloon is inserted into the fracture to expand the space before the cement is added. Neither procedure restores the vertebral body to its full height. SpineJack® was invented by a French physician whose inspiration was a scissor jack, the diamond-shaped car jack that is commonly used to lift a vehicle when changing a flat tire. Instead of a kyphoplasty balloon, the procedure utilizes a titanium implant that resembles a tiny scissor jack, which is deployed into the fractured vertebral body. 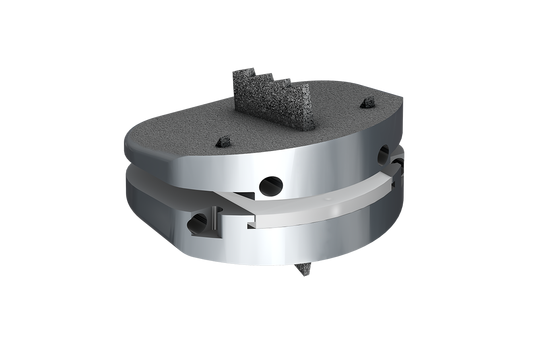 Once in place, the SpineJack® is expanded to lift the compressed vertebra and restore it to its normal height. Two implants are used in the procedure, one on each side of the vertebral body. They are locked into the desired expanded position and bone cement is then injected to stabilize the vertebra. The implant becomes encapsulated with bone cement resulting in pain relief for the patient. 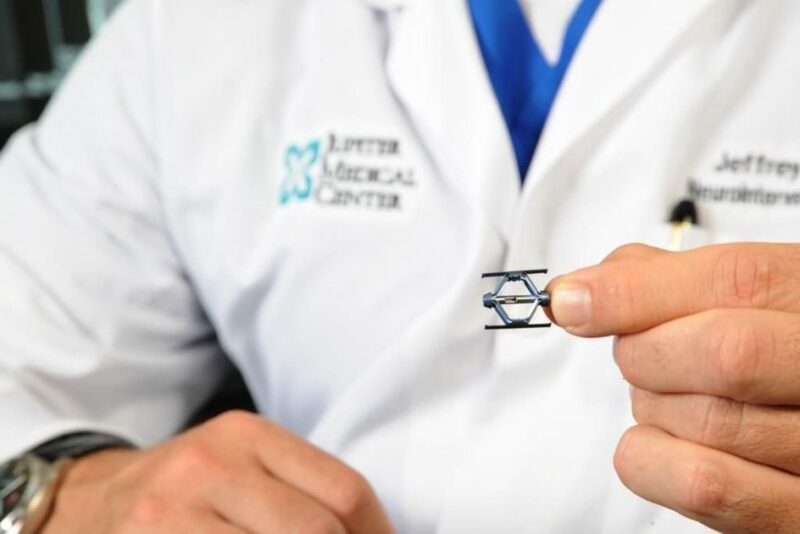 Fischer proved to be the ideal patient to undergo the first SpineJack® at Jupiter Medical Center. In August, while spending the summer in Rhode Island, he underwent a kyphoplasty procedure to treat a VCF in his upper back. While wintering in South Florida just a few months later, he suffered a second VCF during a round of golf—this time in his lower back. His primary care physician referred him to Dr. Miller, who thought he would be a good candidate for SpineJack®. Performed on an outpatient basis, the procedure is appropriate for patients who have been diagnosed with a VCF within four to six months of treatment. 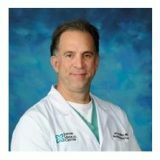 For more information, visit https://www.jupitermed.com/spinejack or call 561-263-2200. A not-for-profit 327-bed regional medical center consisting of 207 private acute-care hospital beds and 120 long-term care, sub-acute rehabilitation and Hospice beds, Jupiter Medical Center is reimagining how to restore the community’s health and wellness. Award-winning physicians, world-class partnerships and innovative techniques and technology enable Jupiter Medical Center to provide a broad range of services with specialty concentrations in cardiology, oncology, imaging, orthopedics & spine, digestive health, emergency and pediatric services, lung & thoracic, women’s health, weight management and men’s health. Founded in 1979, Jupiter Medical Center has approximately 1,650 team members, 637 physicians and 640 volunteers. Jupiter Medical Center continues to perform in the top 10 percent of hospitals for patient quality and satisfaction. For more information on Jupiter Medical Center, please call (561) 263-2234 or visit www.jupitermed.com.